My son shows up at 9 saying lets go fishing. Cant say no to that so with limited time and wanting to put him on some fish we went to Cambell. it was an all day affair but we got our limit. No Monsters this time. Ran into RC and he had caught all the 6 pounders. LOL But It seem they stocked this with 12 inchers. We caught quite a few cookie cutter rainbow. 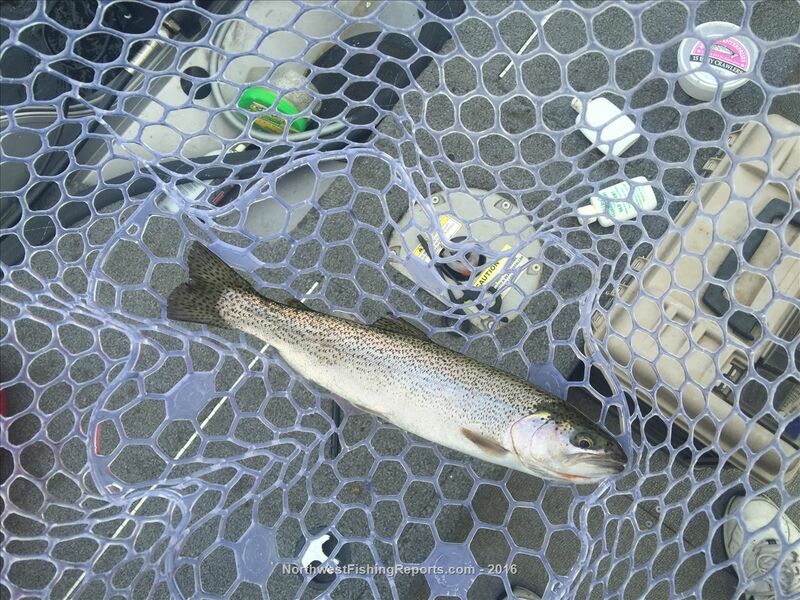 But the star of the day was a 16 inch Cutthroat. First one I have caught here and he had quite an attitude on him.